The first of December is finally here and the festive season has officially begun! 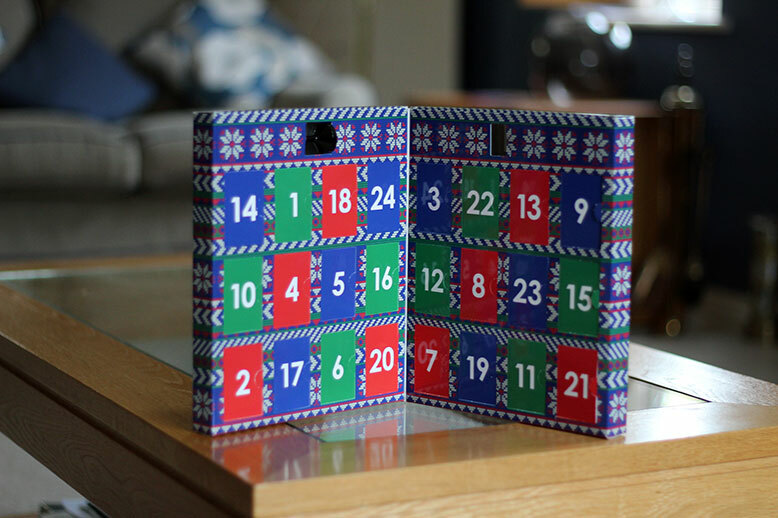 I was so excited this morning to be able to open the first door to my advent calendar which this year is a little different and more luxurious than a chocolate behind each door as it is the Ciaté Mini Mani Month Calendar. The Ciaté Mini Mani Month Manicure Calendar provides a miniature Ciaté nail polish behind each door (19 x 5ml Mini Paint Pots, 1 x 13.5ml Paint Pot, 2 x 10g Caviar Pearls, 2 x 5g Sequins/Glitters). Compared to last years calendar which included a few neon greens and yellows, this years selection of colours is much more wearable including a goregous mixture of nudes, creams and brighter colours; hence why I was so excited when I recently received this calendar as a birthday gift. The formulation of the Ciaté nail polishes are just fabulous, gliding on smoothly, with good opacity, colour pay off and they also last a long time. I believe there are still some of the Ciaté Mini Mani Month Calendars available https://www.ciate.co.uk/mini-mani-month so if you are looking to surprise that special someone or just treat yourself (if you like me are a beauty fanatic) to a little special advent calendar this year, I think the Ciaté Mini Mani Month Manicure Calendar is perfect! Previous Post Liz Earle Superskin Concentrate – Holy Grail Product!! Next Post How to style a Flippy Skirt!